Sky-high penthouse on Monument Square with Parking and large private Roofdeck! Be envied in this Spectacular 2 bedroom plus den, 2 bathroom home! Southwestern Exposure! Check off everything on your wishlist! Flawless floor-plan! Gourmet kitchen with breakfast bar! Open concept! Formal living-room/dining-room with original marble wood burning fireplace!! Amazing direct Monument views! 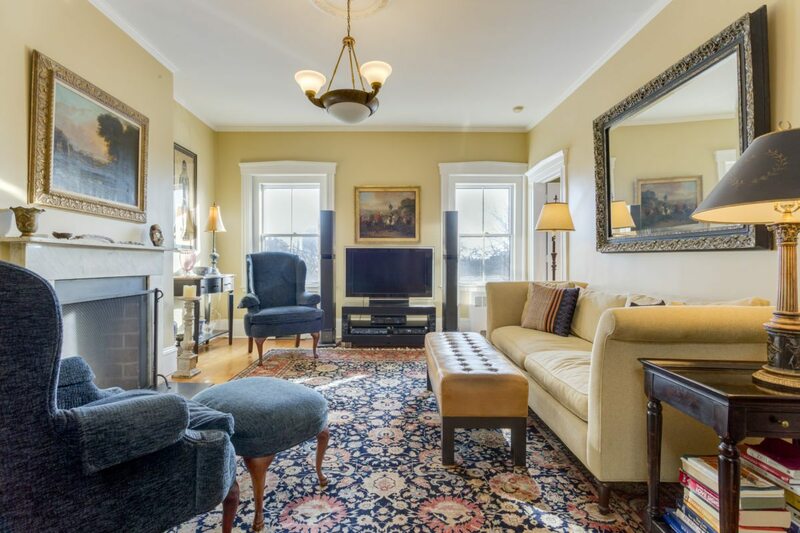 This lovely home is enhanced by random pumpkin pine antique floors and wonderful detail throughout! Truly One-of-a-Kind Opportunity! Absolutely Prime Location! Parking at your back door and a private Skyline view from your 250SF+ Roofdeck! This Home Cannot be duplicated! Click here for more Pictures and a Floor Plan!